our gratitude to one and all for the encouragement and support you have provided. retired as Principal after 34 long years of fruitful service on 31st January 2019. Re-accredited ‘A+’ Grade with CGPA 3.69/4. 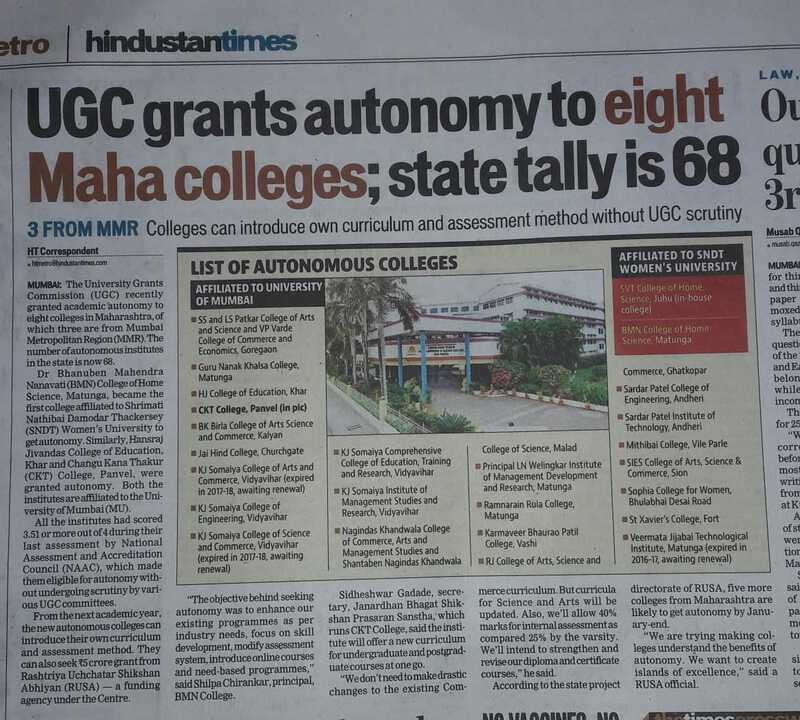 We are proud to announce that our college has received the Autonomous status from UGC. Ours is the first college affiliated to SNDT Women's University to receive the autonomy. 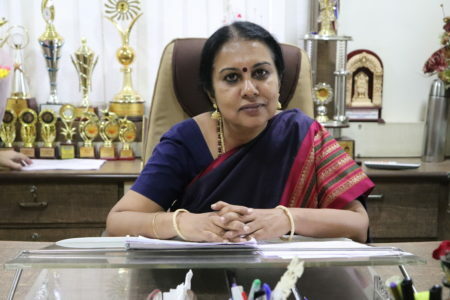 Hearty Congratulations to Mrs.Anuradha Shekhar Head of the Department of Food Science And Nutrition who has been appointed as the new Vice Principal. We are happy to announce that our college has received a grant of Rs.5 Crores from RUSA (Rashtriya Uchchatar Shiksha Abhiyan) under “Enhancing Quality and Excellence in select Autonomous Colleges". Vacation classes offered by SMES. It gives me great pleasure to welcome you to the website of Dr. B.M.N. 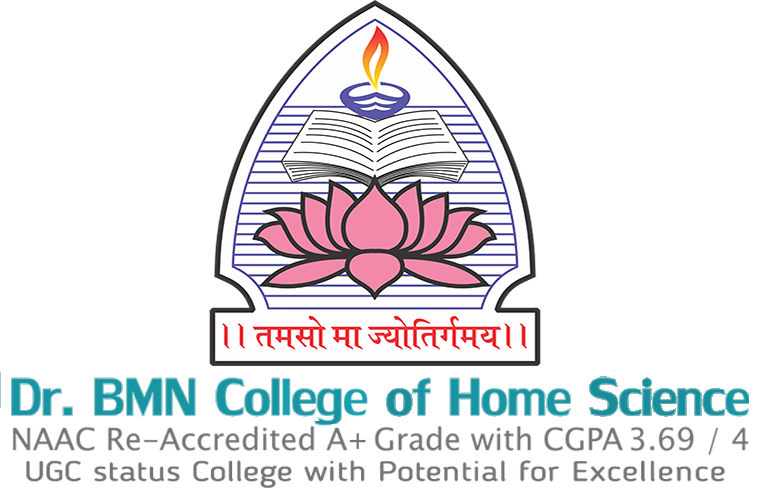 College of Home Science. 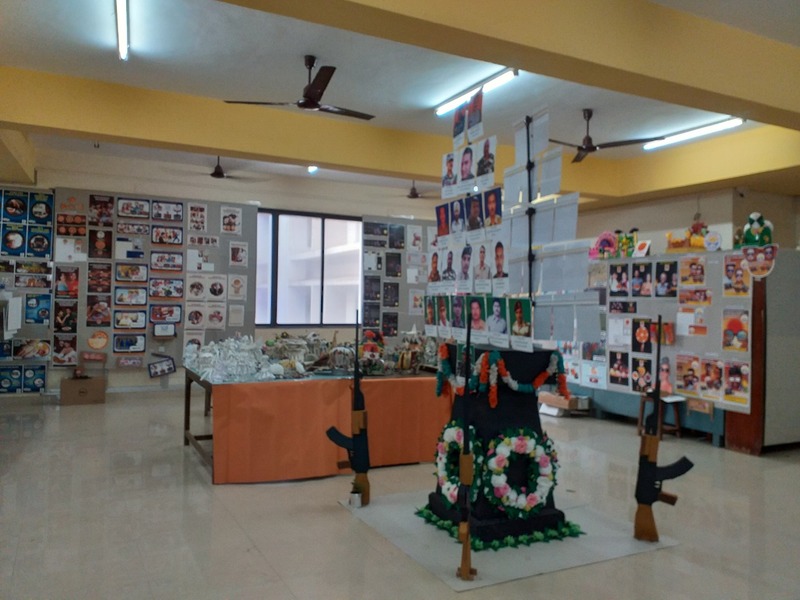 This site will introduce you to various facets of our institution, particularly our unique student support services and as well as the exciting range of activities that we organize to promote the all round development of our students. We at Dr BMN would like to proudly announce that our institution has received NAAC grade A+ with CGPA 3.69 / 4 in the 3rd cycle of reaccreditation. We appreciate everyone’s effort and extend our gratitude to one and all for the encouragement and support you have provided. 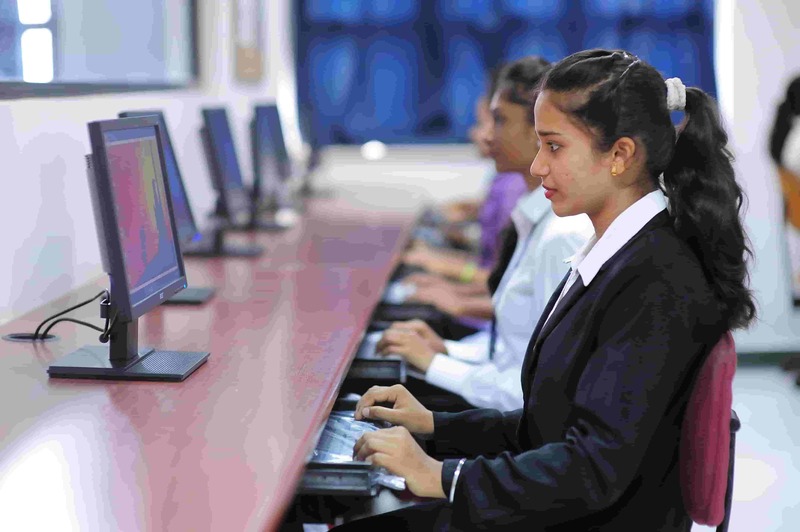 To ensure the continuous improvement of academic and administrative functioning. To follow up on action on internalization of quality culture and institutionalization of best practices. To promote integration of modern methods of teaching to ensure participatory learning processes. To ensure the timely preparation of the Annual Quality Assurance Report (AQAR) as per the guidelines of NAAC. Industrial linkages for placements and collaborative projects.